If your organization is looking to advertise on Google Ads or your brand is already utilizing PPC campaigns, your team may be realizing that achieving profitable success is a little more difficult than merely hitting the GET STARTED button. Nothing in life (let alone digital marketing) is guaranteed; actually, it’s quite the opposite. There’s an ungodly amount of waste found within Google Ads and, unfortunately, most agencies and PPC strategists seem to do nothing to change it. 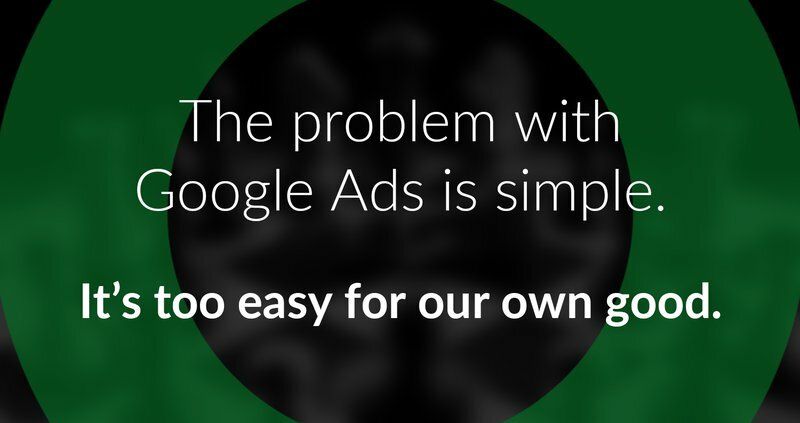 The problem with Google Ads is simple. It’s too easy for our own good. Google, being the user experience geniuses they are, has made it so user-friendly for any organization to set up an account and start pushing out ads that most brands never implement a full, omnichannel strategic approach first. Guess who reaps the rewards of misspent digital marketing budgets? That’s right, Google. The ironic thing is that it doesn’t have to be this way. Google gives us the keys to the kingdom. We marketers just need to listen to the success stories Google keeps releasing, learn from what’s done right, then innovate our personalized strategies. However, for some reason, many brands and agencies are reluctant to utilize these insights. They want things done the easy way – the “familiar” way. The way that leads to 9 billion wasted marketing dollars every year. The true contenders, the PPC leaders that are producing the most advanced strategies with the highest ROI, are fully aware that this competitive landscape is anything but a free-for-all. It takes an immense amount of data analysis, strategic digital marketing tactics, and targeted paid search, not to mention some organic SEO to see positive Google Ads ROI. So, how can your organization get ahead of the competition? Where should the decision makers look for innovation in their digital marketing and sales strategies in Google Ads? Unfortunately, successfully marketing and selling products or services on Google is extremely complicated and if your team isn’t using the right tools at their disposal, you are missing key components to success. The reason being, as fast as technology has evolved in the last five years, that Google marketers have to move even more quickly to stay ahead of the game. Because of this increase in technology, we as humans have evolved as consumers. There are three major factors that have massively influenced this transformation. If Google marketing professionals wish to truly improve their customers’ lives, then they have to collect what users are searching for in search engines, study their website analytics, and be able to seamlessly bridge the gap between the customer’s desktop experience and the mobile experience. There’s no doubt about it; brands are dealing with an increasingly advanced customer. Modern consumers are research-obsessed, demanding, and impatient, but ultimately, they recognize they are all that matters and Google knows that. So, with such a high level of competition in every industry, how can your organization innovate its digital marketing strategy for Google Ads success? Without question, extensive data & keyword research is one of the most important precursors to any successful digital marketing strategy. Google’s keyword planner will show your business invaluable predictive analysis on a multitude of data points so your brand can strategize your keywords to achieve maximum ROI. If your company can use one of the many machine learning tools to digest the critical questions, deduct your customers’ problems and then strategize your sales and marketing efforts around their pain points, you’re sure to elevate their user experience, all the while creating a generation of brand-loyal consumers. A service like Google’s Keyword Planner is the epitome of working smarter, not harder to achieve success in Google Ads. In addition to the research, a tool like this is essential to innovation and growth because it will seamlessly allow you to organize this uncovered customer data from thousands of your keywords. Data without purpose is just data. It’s meaningless. However, organized and comprehensive data and analytics will keep your company leaps and bounds ahead of the competition. Collect quantitative and qualitative research that provides unique metrics and competitive intelligence such as marketplace share of voice. Perform competitive analysis reports on top competing domains by collecting keyword data, link building data & tactics, and content catalogs. Evaluate competition levels on search engine results pages from paid search, organic search, news, and other features of the search engine results page. Customer experience is everything to Google. The more valuable keywords you can attain, the more likely your organization will be in the consideration-mix when a user types in a competitive keyword query in the search box. The benefits of keywords don’t end with your customer, however. You’re also appealing to Google’s algorithm that scans every one of your website pages explicitly looking for relevant keywords that will place your product or services in front of the right customer when they search on their computer or mobile phone. Once you’ve compiled your list of valuable keywords and related data you’re one step closer towards marketing and selling profitable goods and services on Google Ads. Now, onto building your advertising content and using this data to fill in your messaging. Success in Google Ads is all about organically creating a relationship in which your organization provides real, tangible value to your customers. The best way to do this is by populating each piece of messaging and content with incredibly relevant and useful information. So, how can your company increase the relevance of the content and build it to be more customer-centric and software-centric? When your brand optimizes its written content in your ads and on your landing pages, you’re not only showing a prospective customer that your product or service is relevant to their search query or “jobs-to-be-done,” but you’re also catering to Google’s algorithms which will attempt to put your ads in a better position than the competition. In addition to using Google’s Keyword Planner for your organization’s digital marketing strategy, we’d suggest utilizing Google Search Console for optimizing some advanced SEO elements that will increase your brand’s software-centric nature while simultaneously improving your customer’s user experience. It also allows your organization to pull additional keyword phrases that consumers used to find your site. By bringing Search Console into your arsenal of tools you’re allowing your team to better understand where your online content needs improvement so you can maintain a more Google-friendly website and experience. If you haven’t ever used this tool, I recommend you test it out immediately. The findings will more than likely astound you. Once your content is optimized, the next step is thinking about your strategic approach towards communicating. There’s a famous saying that goes, “think globally, act locally.” Well, this is certainly a phrase that all digital marketers and executives need to take to heart. Now more than ever, “we,” are engaging in questions and answers with Google and through our online evolution, marketers are witnessing a different kind of customer emerge. Every organization needs to advance their process of researching search engine data in order to accompany this change. More importantly, we need to act on how we can utilize our data findings to improve local and mobile search engine optimization and actually elevate our customer’s lives, not just gain an increase in sales. Those numbers are astounding, and as a result of these changes in the digital search landscape, many organizations need to become more competitive on the local search front. If this shows the digital marketing world anything, it’s that customers often already know what they need, they just don’t know where to get it. Marketers must capitalize on providing more local information and continue to optimize the customer experience for mobile devices. An informed and educated customer doesn’t have the time or the patience to drive around town looking for your products or services. They need their “jobs-to-be-done” resolved as quickly as possible and on as few platforms as possible. Make their experience smooth and seamless, so they’re not overwhelmed by making a potentially transformative decision. Find transparent and empathetic ways your customers can tell you what’s important to them, so your organization can evolve for the future. Play into the research-obsessed consumer and find ways to assist their journey and make them a part of your brand family. Valuable content is the name of the game these days, and the emergence of social media has done amazing things when determining what information companies can share with their consumers. However, to truly create successful PPC campaigns, you can’t solely rely on just your search or display ads to drive ROI on their own. We need to use additional communication strategies to approach our customers and keep them informed. The evolution of social media has modified how we can interact with one another, giving every organization the ability to create tailor-made, meaningful, personalized customer experiences at all times. Social Media & Display Network: Instantly share information with customers on new technology, services, sales, and processes, as well as give your brand a face or voice of the business. Also, your brand can leverage video pre-roll & static image creative ads targeted to your match audiences. Voice Search: The future of search is natural language and voice will eventually be a more natural communication stream for any demographic to start the customer education journey and convert sales. Start thinking about the questions your customers are asking, and how you can naturally answer them. Video Marketing: Improve the customer education process and immerse a prospective customer into your brand’s world with 360 Video. Reach a broader audience in the early stages of the buying process with Video targeting and utilize YouTube TrueView 15 second pre-roll to target match audiences. Remember, a successful digital marketing strategy on Google Ads isn’t just about getting more customers to your website, it’s about getting the right customer at the right time, and that’s why it’s vital to utilize emerging technologies and platforms to remain top of mind and visible to your prospects whenever & wherever their need emerges. Some PPC 'gurus' will tell you Google Ads success lies in relevant content. Others swear by extensive keyword research. Although both are incredibly vital aspects to profitable PPC campaigns, it’s your bidding strategy that determines whether or not your digital advertising will see profitable ROI, let alone see the first page of Google search results. In every part of our daily lives, we use automated tools to make our days and nights run easier. The same goes for Google Ads management, and this is why we’re seeing even the most advanced PPC specialists turn to automated and smart bidding strategies to manage more efficient PPC campaigns. 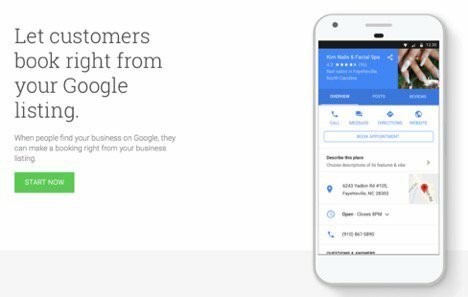 Think about how your customers search Google. It’s a free education in psychology. Every user, including you and me, we type in a search term or phrase, then millions of offers for products or services show themselves. To even place on these pages, your organization needs to strategize the right bidding strategy to back-up your data findings and messaging. For the most part, Google offers four different categories of goals that will help segregate or determine which automated or smart bidding strategy is right for your organization. Every company, let alone every campaign has its objective or goal, so you’ll have to determine what your KPIs are and base your strategy around that. If your organization is looking to spread brand awareness, gain more prominence in search engine result queries, or guarantee that your ad appears at specific locations on a Google page, these two automated bidding strategies are an efficient and cost-effective avenue. Target search page location is an automated portfolio bid strategy that uses machine learning to raise and lower your organization’s bids so your campaigns can appear at the top of Google’s search results or anywhere on the first page depending on your preference. Do keep in mind that Target Search Page Location only attempts to get your organization's ads on the first page of Google. The real success of your ad auction is ultimately influenced by your competitor’s bids and your account’s Quality Score. Both of these time and money saving strategies estimate your keyword’s cost-per-click (CPC) and base your bids around those estimates so your ad can either reach the top of the page or appear on the page and increase brand visibility. If you’ve ever seen a “limited by budget” notification on your campaigns, this may be a data-proven strategy to help maximize the efficiency in your budget. Target Outranking Share is a portfolio bidding strategy that helps your campaigns outrank ads from competitor’s domains. When your organization switches from manual CPC to Target Outranking Share, Google Ads machine learning will automatically raise or lower your organization’s bids with the sole objective of gaining higher positions than your competitor’s domain on Google’s search result pages. Combine Target Outranking Share with Google’s Auction Insights Report, and your PPC specialists gain the power of Google machine learning to back them. Your team can now set customer-centric bids around your competitor’s domain names, and this ensures you’re reaching the right audience with the right message at the right time, and doing it more efficiently than the competition. If your organization is looking for an incredibly fruitful top-of-funnel strategy to effectively increase clicks and accomplish that surge without breaking a set budget, this automatic bidding strategy might be an efficient and cost-effective avenue. Maximize clicks is an automated bidding strategy that uses Google’s machine learning systems to position your ads to receive as many clicks as possible within your set budget. Your organization can seamlessly control the maximum amount you’re willing to spend per click, and if you don’t want to set a max limit, Google will simply make bids based on your target spend to achieve the highest volume of clicks/sessions for the available budget. If your organization is looking to keep a steady cost-per-acquisition (CPA) across your arsenal of keywords, or if your team is looking to successfully maximize your conversions without exceeding your set budget, these two Smart Bidding strategies might be your answer to higher Google ROI. Target CPA is a Smart Bidding strategy that allows your organization to set bids so your ads can acquire as many conversions as possible without exceeding your target cost-per-acquisition (CPA). As you’re well aware, conversions based on keywords will sometimes cost more than your target CPA, and some chosen keywords may cost less. With Target CPA on your side, Google will use algorithms to keep your cost per conversion virtually equal to the target CPA you set. When you hand the controls over to Google, you’re allowing the power of advanced machine learning to automatically optimize your campaigns to hit the most effective CPC bid every time your ad can appear in search results. It will also leverage the power of auction-time bidding that tailors your bids to specific auctions. Maximize conversions is a smart bidding strategy that allows Google’s machine learning to strategize your bidding to help gain the maximum conversions for your campaign and spend your budgeted amount. When your organization adopts maximize conversion bidding your running campaigns will instantly optimize their bids, and with the added power of auction-time bidding, you’ll be able to tailor bids for each auction. If you’re consistently spending less than your daily budget, Maximize Conversions may not be the smart bidding strategy for you because its purpose is to increase clicks while spending your entire budget. If your organization is looking for a smart bidding strategy focused on increasing profits or revenue, then this Smart Bidding strategies might be your answer efficiently creating higher Google Ads ROI. Target ROAS (a.k.a. return-on-ad-spend) is an advanced smart bidding strategy that uses Google’s machine learning to schedule your organizations bidding around a target return-on-ad-spend. Google will set maximum cost-per-click bids so that you’re getting the most out of your conversion value, as well as establishing a baseline return on ad spend that fits your budget and goals. In addition to keywords, bidding strategies, and technical SEO best practices for Google Ads, it’s important to understand that if your business is going to deliver content on the page, it better be focused and relevant. In our “buy it now” mobile generation, any friction in the purchase or user process will end in customer abandonment. Product and service reviews are the golden tickets to success on Google. Every customer is wildly varied, and there is never a “one-size-fits-all” approach to successful digital marketing on Google. That’s why it’s vital to use reviews. Digital word-of-mouth is still a significant factor in digital marketing success, and the statistic above shows how influential reviews are towards impacting sales. Every business, large or small needs to fully embrace the data-driven revolution if they’re going to create successful and meaningful relationships with Google and your customers. If you don’t innovate, you will cease to be. That’s not a guess. It’s a fact. If your organization is still shaking its head over Google Ads marketing goals and objectives and what strategies your company should implement to increase brand awareness and maximize profits, reach out to Evolve Digital Labs for your free consult.